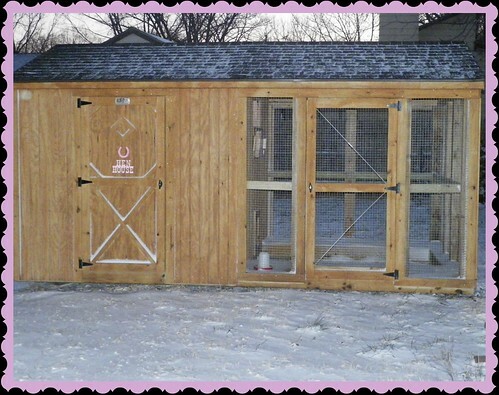 Looking for a cute coop design? Check out the coops. Do you have a cute coop to share? Join the chicken coop flickr group or check out the other group flickr pages. 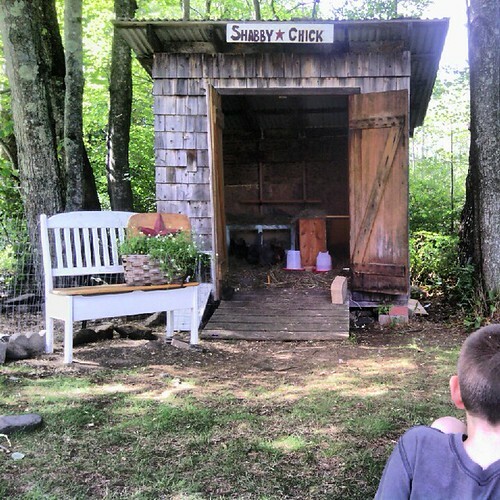 Also check out my friend Kim's coop here. Thank you for posting a photo of my coop. 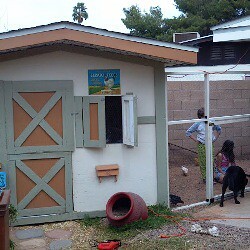 It is a recycled playhouse in which my kids had lost interest, until it was filled with chickens! Looking forward to seeing other people's coops and getting some new ideas. We are not on Flickr either, but here are the links to ours.